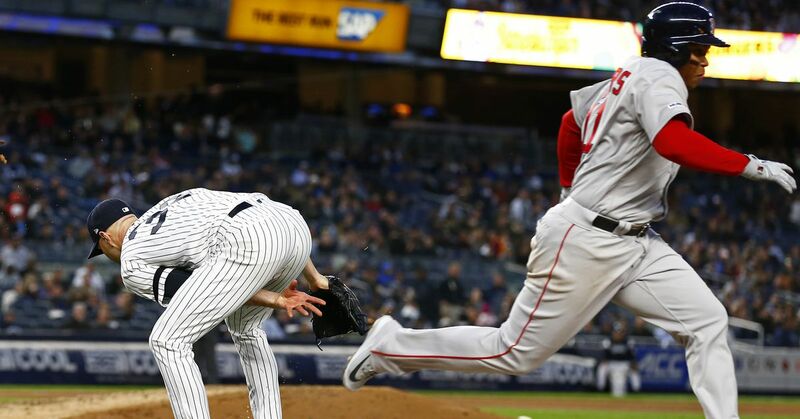 The New York Yankees took a big step toward returning to contention once again by officially adding Aroldis Chapman on Thursday, the team announced. Ken Rosenthal of Fox Sports first reported that the Bronx Bombers inked him to a five-year deal worth $86 million on Dec. 7. Jon Heyman of FanRag Sports confirmed the news. Heyman reported Dec. 8 that Chapman will receive an $11 million signing bonus and $15 million in salary for each of the five years. Rosenthal also said there is a no-trade clause for three years, and Marly Rivera of ESPN reported he can't be traded to a team located on the West Coast. Rivera added that Chapman chose the Yankees over the Miami Marlins. The deal also includes an opt-out clause after three years and a limited no-trade option for the final two years, per Rosenthal. "I love the (Yankees) organization," said Chapman, per Rivera. "They welcomed me with open arms, and that's why I decided to go back; I was hoping I had a chance to go back, and it happened. Every player dreams of being a Yankee, and if they don't it's because they never got the chance." Chapman also explained why he chose to have a no-trade clause to California teams: "I just didn't want to go that far from my family. I did have the opportunity to stay here near my house (in Florida, playing with the Marlins) but no, I leaned more towards (going to) New York." Buster Olney of ESPN reported Thursday that the Los Angeles Dodgers talked about Chapman "but never really got that involved." Heyman added that the Dodgers were "nowhere close" in terms of landing the closer, as Chapman wanted to stay on the East Coast. Aroldis Chapman's $17.2M AAV w/ the #Yankees ranks 1st among RP, 20th among all P, and 44th among all currently signed 2017 MLB players. Chapman began last season with the Yankees, pitching 31.1 innings while posting a 2.01 ERA. He was also suspended 30 games at the start of the 2016 season due to a domestic violence incident during the offseason but became the team's closer upon returning and totaled 20 saves. He was traded to the Chicago Cubs before the deadline for four players headlined by top prospect Gleyber Torres. At the time, he left a message to Yankees fans on his Instagram account that suggested he was open to a return. "Last but not least, thanks to the NY Yankees fans, that from the first day, they made me feel at home. Thanks to the Yankees organization for the support they gave me. #newyorkyankees bye for now." His willingness to rejoin the team indicates that he enjoyed his time in New York, where he will likely resume his closer duties heading into 2017. Chapman had a strong run with the Chicago Cubs, playing a huge role down the stretch with a 1.01 ERA in 26.2 regular-season innings. Although he had three blown saves and a 3.45 ERA in the postseason, his ability to pitch multiple innings and stifle opposing batters was invaluable. He appeared in 5.1 innings and threw 97 total pitches in the final three games of the World Series as the Cubs came back to win their first title since 1908. When the Cubs acquired Wade Davis to replace him as the closer, the opportunity arose for Chapman to end up back in New York. The Cuban pitcher spent the first six years of his career with the Cincinnati Reds, where he posted a 2.17 ERA and was named to four All-Star teams. Chapman's return will likely push Dellin Betances back to the setup role, where he had more success. 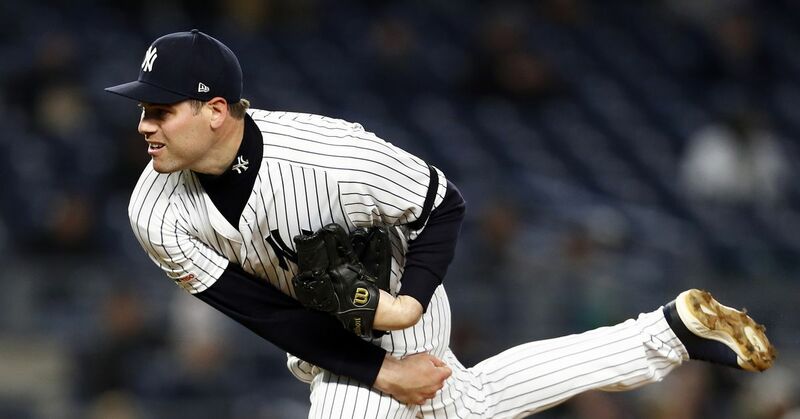 Although Andrew Miller is gone, this is a bullpen that should once again be among the best in baseball while helping the Yankees' bid to get back to the postseason.